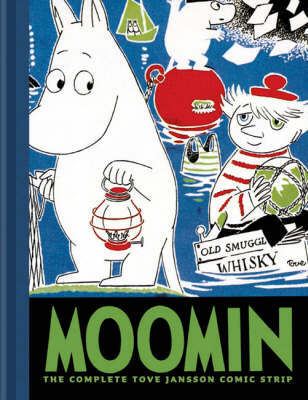 Moomin has been swiftly making its way into the hearts of North Americans ever since Drawn & Quarterly began collecting the strip in 2006. It debuted in the London Evening News in 1954 and has become the fastest-selling D+Q series to date. Fifty years ago, Tove Jansson's observations of everyday life-whimsical but with biting undertones-easily caught the attention of an international audience and still resonate today. Known primarily as the creator of the Moomins, Finnish author Tove Jansson was a novelist, painter and illustrator, part of a minority Swedish-speaking community in Finland. As well as creating the Moomin books for children, which began with The Moomins and the Great Flood, she also wrote six novels including The Summer Book, The True Deceiver and the semi-autobiographical Sculptor’s Daughter and five collections of short stories for adults, some of her most popular stories in translation are collected in A Winter Book.